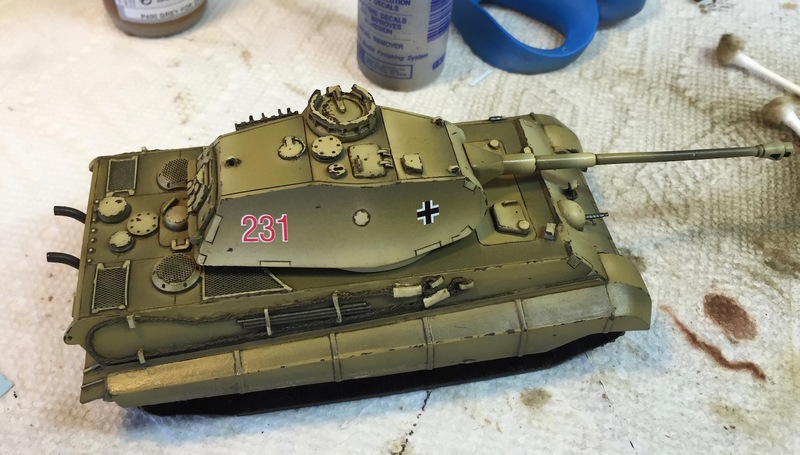 Above is a King Tiger exhibition color modulation. 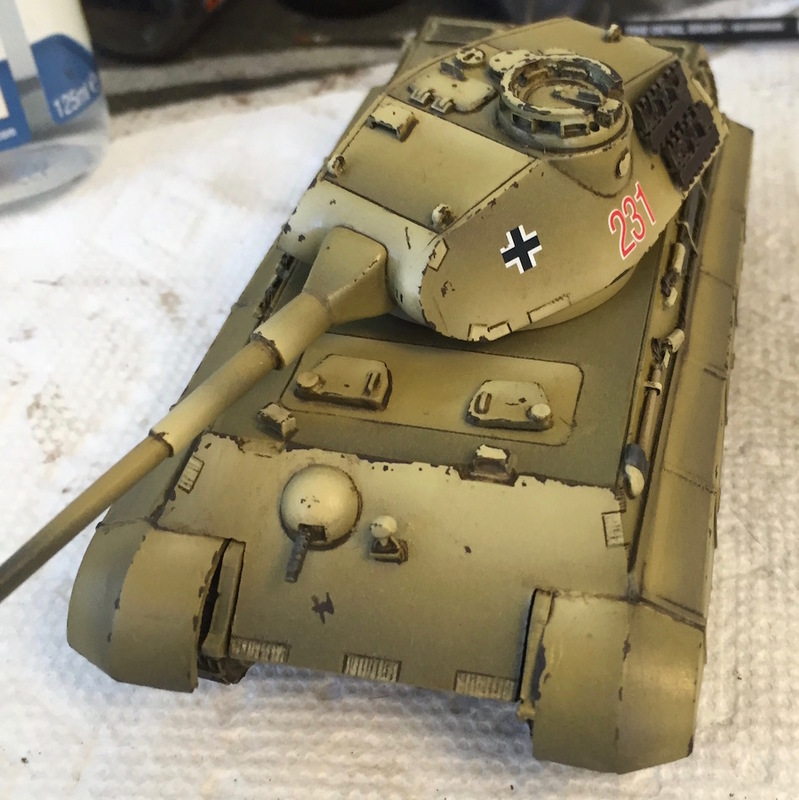 The tank is far from complete, but since I haven't shown a good example of color modulation in a while, I figured now was a good time to do it. The combination of the lighting, and the semi-gloss lacquer coat, make it difficult to photograph, but I think the emphasis on the front of the tank can be seen. 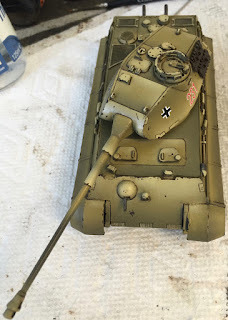 Once the tank is dull coated it will be much easier to see all of the blends. * Yep, I may still paint a camouflage pattern on this tank. 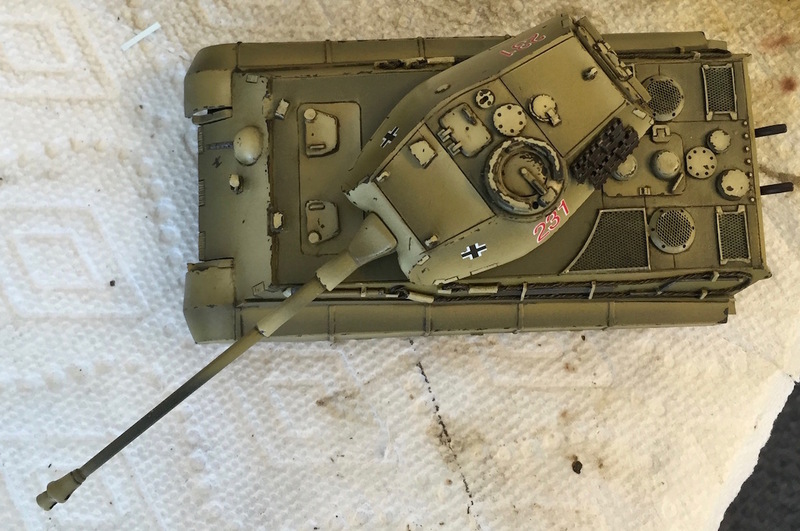 I had originally intended to paint it up in tri-color ambush pattern thanks to some great research from Mike Brandt, but I think It would look better at this scale if I just added some green sections. That would also allow me to use the bottle of heavy chipping fluid that just came in the mail. That's the real reason. Looks absolutely wonderful, straight off the factory floor.